I managed to get enough time to paint the turntable this week. 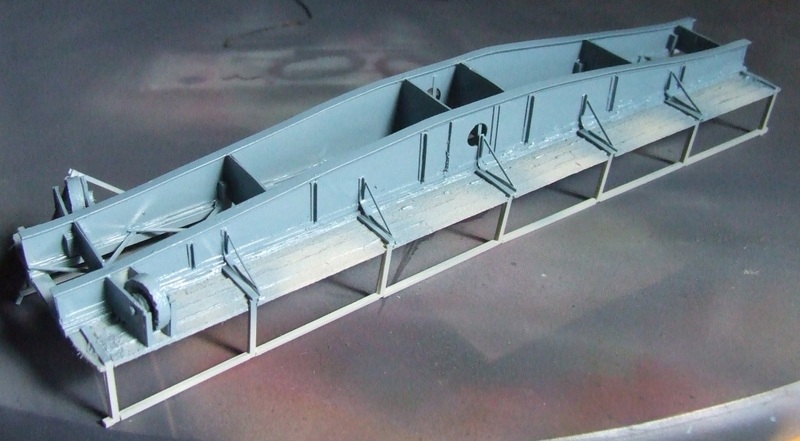 The steps to painting. 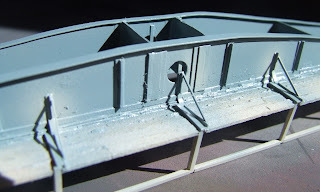 Undercoat grey first for better paint adhesion and a good base colour. Then some areas are lightly covered with grey to depict faded paint. 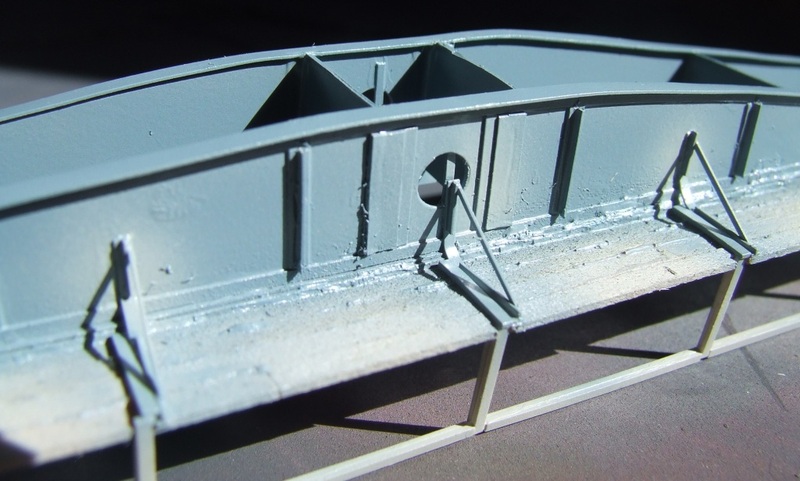 Next a dusting of rust on the underframe. 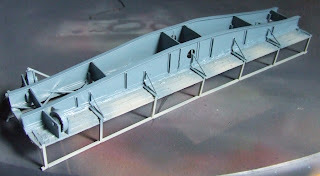 Using a paint brush I painted the walkways with a brown grey mixture. 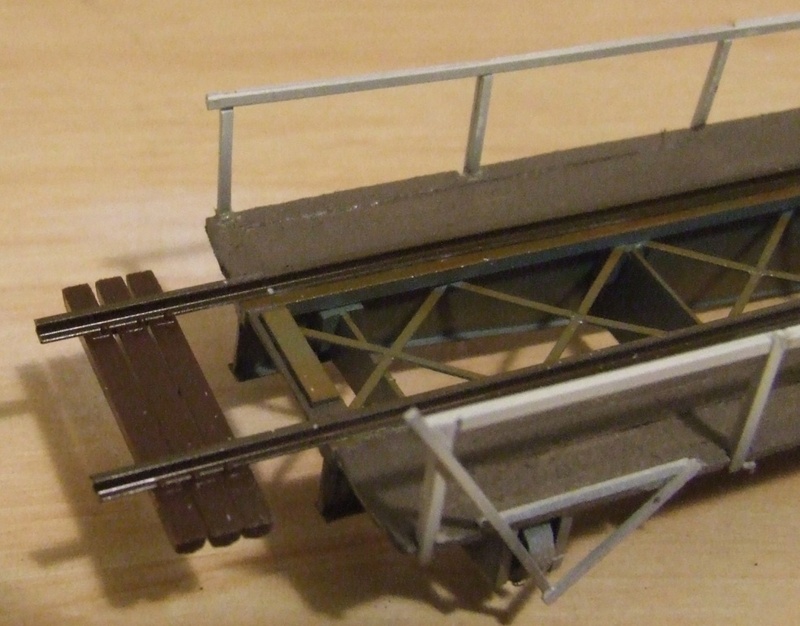 When gluing on the rails I used 3 sleepers close together to maintain the gauge rather than trying to measure it.